The point was to give people a way to "find out more about Sikhs" if they are interested. someone singh/kaur, Originally I didn’t have the web url on the shirts, but then I thought about it more, and it seemed that by listing the SikhNet web address it would be an opening for the person viewing the shirt to learn even more about Sikhs later on. It’s like the “one-two punch”, giving them some basics, and a doorway to learn more if they are interested. In any case I can probably add a few more shirt options without the http://www.sikhnet.com part on the shirt if people still feel strongly about it. Cool idea, i normally wear a Mai Bhago Tshirt, but i guess people just see the huge sword and think OMG lol…..but these are a more friendly approach to explaining Sikhi, really like them, almost like education wear… kudos!! singh khaalsaa: This blog is ever changing…as my life is. It takes A LOT of time to post things and having two children and a family along with everything at sikhnet doesn’t leave me much time. Sometimes I post personal stuff…and sometimes not. I look at this blog as a window in “my community and life”….but also a “sandbox” for new and fun ideas. It’s a place to check new things out and get first impressions for Sikhnet users. What about printing the same on the back of the T-shirts. I would prefer people not looking too long at my breast area. Good ideas Parkash Kaur, I think this can be done. Also, being a guy I didn’t account for the specific point you brought up about being staring at the chest area. Parkash Kaur, There are now two option for the woman’s styles shirts (Design on the front and design on the back). For those of you who prefer not to have the “www.sikhnet.com” on the shirt or would rather have http://www.SikhiWiki.org (or some other website) you can click on the “Customize” link on the shirt of your choice and either delete the web url text layer, or you can change the text. All the shirts are customizable, the main thing is to pick the design that you like…and then you can browse through the different shirt styles and colors (men/women/kids/etc). I just picked out a few designs and shirt styles to make it easy for people. This is such an awesome idea! You are so creative! I think it’s perfect to have shirts like this so that people can understand better. The words and phrases you put on there are so great. They really give the feeling of what Sikhism is! Thanks for doing what you do so well, keep it up! Gurmustuk, Gur Fateh! I was surfing and researching online and saw your new design wordles and instantly stopped and appreciated the idea. I am a student of typography and have often done similar designs (manually) and think this is a terrific idea. I would like you to explore more ideas like such. Example could be to look at what Sikh/Sikhi means to your viewers and come up with concepts based on that. Anyway, I was pleasantly surprised to see these designs on zazzle and decided to check out your blog site. Call me and let’s discuss to put some of these on Panjab Mall. Love the idea, its similar to when we had the london bombing and people produced aÂ t-shirt with “am a sikh not a freak”, it had the same psychological idea and effect for the wears and observers. I think to begin to encourage people to wear them we could ask people to don their t-shirts on special sikh days, like vaisaikhi melas or Gurujis birthdays, or when we have spiritual walks around ours cities when we are marking the special days. It might be a good idea to print some sweat shirts or warmer tops for colder climates. Just recently it was Guru Nanak dev ji’s birthday so for the uk for the climate, fleeces would have been great. Anyway just some random ideas and thoughts. All the best, serina kaur. First of all I would like to say that this is one of the coolest idea I have seen so far and I agree we need to teach world a little bit about who Sikh’s truly are. You are doing a great job and please keep it up. I have another request. As you added options for www address, is it possible for you to add option to take off or keep word “Uncut Hair” as well? I am a Sikh and always will be but at the same time do not have hair like my dad or wear Turban. This being said, I am still a Sikh and very proud of it but by having this word on the T-Shirt you are taking the opportunity to wear this shirt away from all the Sikh’s in world who do cut hair. I understand that this is by far one of the most important characteristic of a Sikh but only requesting to add the option to take it off from this T-Shirt. If not possible, I would understand that as well. Do you ship overseas (UK) and how much will it cost? The website (zazzle.com) makes the shirts. I’m pretty sure they ship international. The prices for the shirts are dependant on the style/type of shirt and color. You can select many different styles of shirts with this design that I made. Those shirts are great! I love the designs and am definitely thinking of getting one. brilliant.. i am going to ask my papa for one haha..
99% of people who wear turbans are not Muslim, WE ARE SIKH. another thing is that i don’t visit sikhnet often but its mrsikhnet that i visit beacause it is the window where i can peeek through into your (community) world and how you respect Gurbani and live being sikhs Great!!!!!!!!!!!!!!!!! I would kindly request to show sikh models instead of the hindu models wearing T-Shirt which says I am a Sikh. As this website is not concerned with any religion still the message on the T- Shirt is showing and teaching people about the relegion, So it is better to show sikh models on shirts saying ” I am a Sikh” . Otherwise it will give wrong message to other cultures and communities about the relegion. We don’t have a choice to change the “models” for the t-shirts. 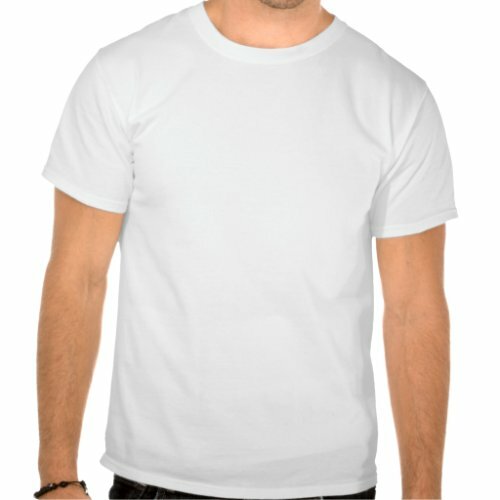 We are just using a free service (zazzle.com) to make the t-shirts available and there are the standard models they have for the shirts. It’s expensive to make t-shirts, stock them, ship, etc… so unless there are huge volumes of orders it only makes sense to use services such as zazzle.com and cafepress.com to allow people to buy shirts on-demand and not have to deal with stock and fulfillment. We are not doing this for money. It was just a quick idea to help promote Sikhi. Although I like the idea behind the t-shirts I feel they look a bit dull and need to be more colourful and eye-grabbing just my opinion.Â Please visit my website http://www.sikhs.tkÂ where I am making a comprehensive profile of famous sikhs who are outstanding in their fields.Â Please feel free to visit and give me your opinions. The SGPC should clarify that the Sehajdhari Sikhs are not Hindus or non-Sikhs as they are the integral part of the Sikh religion. The SGPC should clarify this fact during filing the affidavit in Punjab & Haryana High Court that the Patit word only applies to the Amritdharis who violate the Amrit by transgressions and a person who has not taken Amrit cannot be brought under the definition of Patit as he is a Sehajdhari Sikh stated Dr.Paramjeet Singh Ranu the National President of Sehajdhari Sikh Federation. The SGPC should remove any stigma the word â€˜Sehajdhariâ€™ unfortunately have, as many confused Sikh organizations have started misinterpreting it now by high jacking the long standing issue for political gains just to make it a issue against the Akali Dal Badal & its SGPC. People in the past have been using it as a kind of â€˜talk downâ€™ at others who cut their hair. Its like saying – because I donâ€™t cut my hair, Iâ€™m a better Sikh than you as I am still a Sikh ie Keshadhari, but you are a â€˜sehajdhariâ€™ Sikh. That argument is not sustainable. It cannot be supported by anything in the Sikh religion! Everyone who is NOT YET Khalsa (Amritdhari), is Sehajdhari. And no one should feel bad because being referred to as a Sehajdhari is not a slur. Its simply one of the most misunderstood words in the Sikh vocabulary. The problem have started when someone incorrectly translated the word â€˜sehajdhariâ€™ to mean â€˜slow learnerâ€™, or, â€˜slow to progressâ€™ (from the word sehajeh sehajeh). Most Sikh writers have contributed to this problem by mistakenly or intentionally choosing this incorrect meaning. There is no difference between a Sikh and a Sehajdhari Sikh. All Sikhs are Sehajdharis. And all Sehajdharis are full fledged Sikhs. It is clearly explained in the history that there are only two types of disciples of the holy Gurus – Sikhs or Khalsa. If you have not taken Khande ka Amrit (if you are Non-Baptised), you are a Sikh. All the other labels of Amritdhari, Keshadhari, Sehajdhari, Mona etc, have no place in the Sikh Panth. if you are not a Khalsa. you are simply, a Sikh! If you have takenÂ Amrit(Baptised) , you are Khalsa. If you have not, you are Sikh. â€˜Mahan Koshâ€™ the encyclopedia of Sikhism defines Sehajdharis at page no 137 as â€œ A person who remains at ease with liberal thought who is an integral part ofÂ Sikhism but do not adhere to the amrit and kach-kirpan but believes in the ten Gurus and shri Guru Granth Sahib and has none other as religion. Those Singhs who hate the Sehajdharis are totally ignorant about the principles of Sikismâ€. In 1699, all Sikhs were invited (not ordered) to become Khalsa. It is reported by the emperorâ€™s own spies that 20,000 out of 80,000 able-bodied men, and some women took up the offer. The great Guru did not curse, criticize or condemn those who did not take up the offer! The Guru was just asking of His followers to take the fight to the Muslim rulers. He loved them all, Khalsa or not. And if you think about it properly, Guru Gobind Singh Ji had actually raised an army of Khalsa to defend, yes, the Sikhs, the folks who HAD NOT taken the Panj Kakari Amrit. Of course this was not the only reason. Sehajdharis have been adopted by all the ten Gurus and Khalsa is the purest form which generates out of the Sehajdharis only .The Amrit shall be opted only by a person who is first a Sikh and the Sehajdharis are the only Sikhs and no Hindu or muslim or christian will opt to get baptized for Sikhism. The SGPC has filed an affidavit in the Pb & Haryana High court with regard to the definition of the word SEHAJDHARI SIKH in a matter under consideration in the petitions of Sehajdhari Sikh Federation and a Medical student Gurleen Kaur who was denied admission to the MBBS course from Sikh quota in the SGPC minority Institution Guru Ram Das Medical College Amritsar declaring her as Patit and not Sikh as she plucked her eyebrows. The SGPC states that a Sehajdhari Sikh is a novoice from other religions who is slowly slowly adopting the rituals of Sikhism, whereas this will open a floodgate for the peoples of other religions to take over the privileges of the Sikh minority and the real Sikhs will be abstained or thrown away by labeling as Patits as Patits are not Sikhs. Dr.Ranu stated that our mind should be crystal clear to accept the definition of Sikh that a person who believes in ten Gurus and Guru Granth Sahib and has no other religion is a Sikh and when he has no other religion then how come he be a novoice from other religion. All those Sikhs who adhere to the five Kakars and adopts baptism initiated by the tenth Guru are Khalsa or Amritdhari Singhs. Remaining other Sikhs are to be treated as Sehajdhari Sikhs only whether he is keshdhari, mona or in any form who have never opted baptism. Sikh religion is already a minority and dividing the minority will create a minority within a minority hence the SGPC should try to safe guard the religion of Guru Nanak inspite ofÂ wedging it with its own hands. truth prevails all are sikhs who adopt Guru Granth sahib as Guru.No Hindu has right to say he is a sehajdhari sikh if he has not adopted SIKH religion as his whole sole religion.ADVANI cannot be said to be a Sehajdhari Sikh. We are not PATITS as Patits are only those Amritdhari Sikhs who break amrit by transgressions. Â This website is doing something for sikhs that we never imagined before. You are doing a great job. We must believe in bringing more and more people to sikhism. Sehajdhari Sikh Federation! For real! Why not spend your time organizing meditation and kirtan programs and teaching the value of keeping hair, rather than trying to gain ‘religious’ and political power? You actually need a federation to fight for power, when the Guru has given you the power to become Khalsa! Grow your hair and see what power you get, you won’t be begging mortals for rights any longer. why this T shirt have not been put on a sikh boy?????? u r advertising aÂ T shirt on sikhism on an sikh website so why a hair cut boy representing this??????? m glad atleast u did some thing acctully for sikhii noy like we pleople jst think critisize and do nothin u r good ji na u r great. keep up the good work waheguruji will help ya. this is a very nice idea but do u think that who will wear this t-shirt will obey the rules written on t shirt , suppose a sikh wear and drinkin in a bar then what the people will think is this guru had taught to their sikhs.I am also a amritdhari i want the standard of sikh should be raise and everyone do the praise of sikhs . Just wondering if I can get these T Shirts in India..
Pl call at +919431117865 to confirm. people ask sgpc to clarify who is a sikh and who not. instead of asking others one should retrospect and get answer fromÂ one’s conscience rather than mud slinging on others. if guru gobind singh’sÂ teachings does not suit us we should be bold enough to say that we don’t recognise guru gobind singh as our guru since his teachings does not suit us. but we have to take a look that it is not missused ……. Sukhdev Singh, the prices are set by the company that does the printing. They are created individually on demand so the cost is higher then if you were to get 500 shirts made in bulk. 2Â It helpsÂ during meditation. It works as an antenna. same as our antenna of a televison.Â A televison antennaÂ make a goodÂ electromagnetic field toÂ absorb theÂ radio signal telecast from the main station.May be you have seen that without an antenna aÂ TVÂ show you aÂ distorted program andÂ as soon you connect itÂ with antenna same programÂ starts coming clear.Â Â Similarly when a person go deep intoÂ his meditation his hairÂ start makngÂ a strorng networkÂ among god and himself. If you dont haveÂ good long hair, yourÂ spirtual concertation will be distorted and person will makeÂ moreÂ effort to acheieve theÂ sameÂ concentration as compare to the one who have long hair. All of these comes under Amrit. When a person get AmritÂ same as JANEU as in hindu relegion( a thread along chest a hindu follows the path as itÂ hasbeen told by hisÂ Guru) same in Sikh We followÂ Guru GranthÂ Sahib after takingÂ Amrit.Â All of 5k has specific meaning and you can getÂ infornation about these fromÂ our website. At lastÂ i want to sayÂ some of idiots make fun ofÂ it but they dont know Â they belong to the same thing. They were not making fun of a person they are making fun of God. All of above information is according to my knowledge.Â Â I am a learner and I will be, so ifÂ Â wrote any thing wrongÂ please exempt me. in replying, my assumption is that: you know that the Sikh Faith was founded by Guru Nanak, and that the Sikh Ninth Guru Teg Bahadur was killed when he went to plead the right of Hindus to practise Hinduism, and that India was then ruled by muslim extremist emperor Aurangzeb. The son of the Ninth Guru, The Tenth Guru, raised an army of ‘Saint-Soldiers’ to fight the extreme oppression. They were the KHALSA. They dropped their family names and took on the family name of SINGH. This army had a prescribed uniform dress code. as saint-soldiers. (Muslim) Saints at that time, in that part of the world, kept their hair unshorn. So did cleverly the Khalsa. Of course the Khalsa army had to bear arms too (soldier part). India was ruled by a very oppressive muslim emperor at that time. He and his followers were worse than the Taliban today. They converted by the sword. You either converted to Islam or were killed. Only muslims were allowed to ride a horse at that time. Muslim saints kept their hair unshorn. Therefore keeping the hair unshorn enabled the Khalsa to use horses; important means of military transport at that time. It gave the Khalsa army freedom of movement it would not have had if they had not dressed in unshorn hair. The Khalsa started off as a tiny army that grew into a mighty force that contributed in freeing India of the extreme oppression. When the oppressors were defeated, Hindus were free to practice their faith as were other religions. The Khalsa, then, were often the first born sons of Hindu families. Till this day, there are Hindu families including Sindhi families, whose first born son proudly becomes a KHALSA. They take on the name SINGH. Descendents of Khalsa families too take on the name SINGH. Taking on the surname SINGH does away with caste issues. The Khalsa, today, have unshorn hair as they are Guru Gobind Singh’s proud saint-soldiers. Manish, You just may like to check on the internet what Pearl S Buck said about Sikhism. It is succinct and very well written. You will enjoy it. Great T-shirt design. and i think http://www.sikhnet.com SHOULD be there. Let people know this site which is serving to sikh community so much. Thanks.